Last year, after purchasing my rice maker, I swore I wouldn’t buy any more kitchen appliances. That promise was short-lived. After my recent sojourn to Garson’s Farm (see corn post) and acquisition of five buckets of raspberries, I wanted to (or more like HAD TO) make sorbet. (I didn’t have the jars to make jam, so it was the only solution) My Magimix ice-cream maker only accommodates one litre and I had double that amount of mixture. In the end I made half sorbet and the rest granita. Icy treats do require a fair amount of effort and forward thinking and one litre just doesn’t seem worth it. My husband and two sons can polish off a container of ice-cream quicker than you can say ‘Haagen Dazs.’ If you can make two litres at once, it makes it a bit more worthy. I decided to scan Amazon and see what was out there. 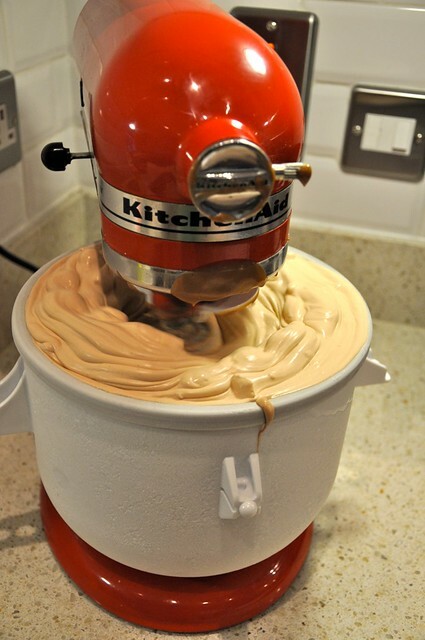 The Kitchen Aid ice-cream attachment caught my eye because I already have the mixer. A double batch just about squeezes in and you can make your frosty endeavors last at least two evenings. 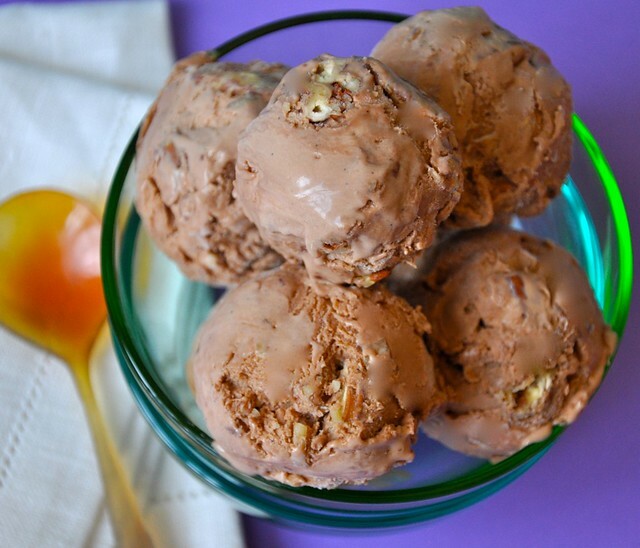 This recipe is adapted from the book ‘Iced’ from Murdoch books. 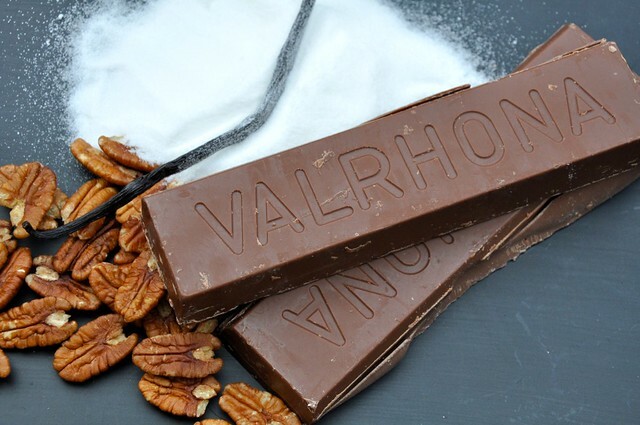 Made with a proper custard base, it has all the density of quality ice-cream and lashings of milk chocolate and crisp pecans. Put the milk, vanilla bean and scraped seeds into a heavy-based saucepan over medium heat. Add the cream, milk, sugar and vanilla bean with scraped seeds and heat until nearly boiled. Remove from heat. At this point you can pour the mixture into an ice-cream machine. Its a good idea to start the motor running and then scrap the mixture in. It will take about 10-15 minutes to thicken. Add the pecans at the end of churning. Alternatively, you can do it without an ice-cream maker by pouring it into a shallow metal baking dish and freezing. Whisk it every couple of hours until it frozen and creamy. When close, add the pecans in. 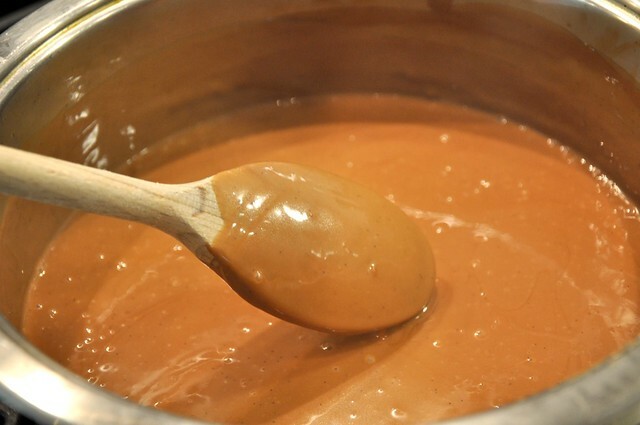 The milk, cream, sugar and vanilla pod are heated until nearly boiling. 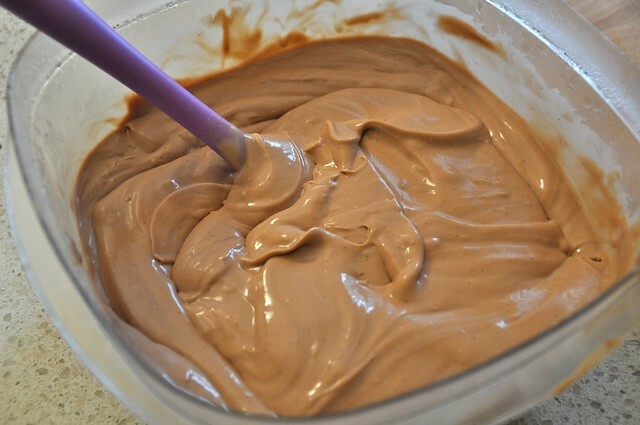 The chocolate is chopped to melt in the cream mixture. 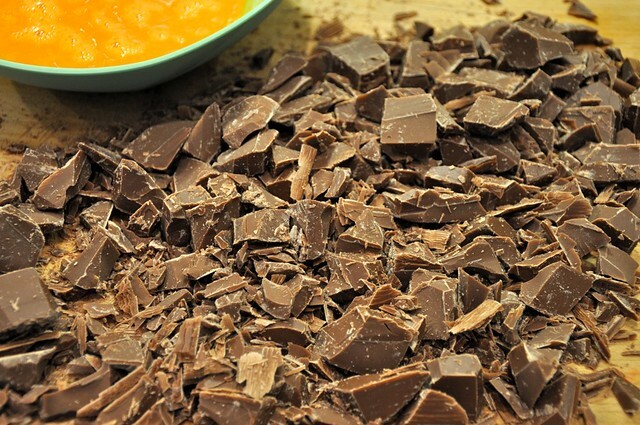 After the chocolate is melted, the mixture is whisked into the eggs, poured back in the saucepan and heated until thick. 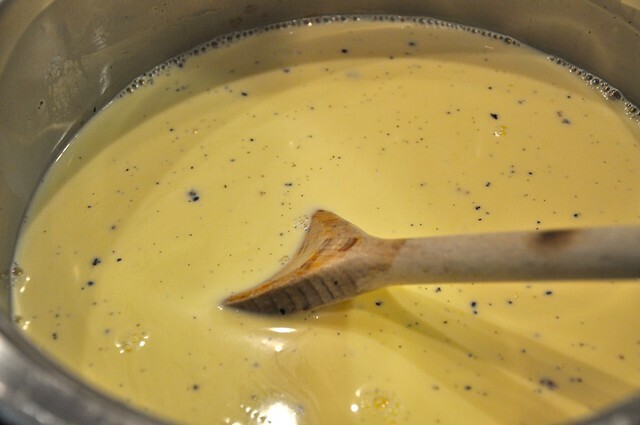 The thick custard is chilled overnight and is ready for the ice-cream machine. My new Kitchen Aid ice-cream machine attachment churning the mixture. Since I made a double batch, it’s nearly overflowing, but works. 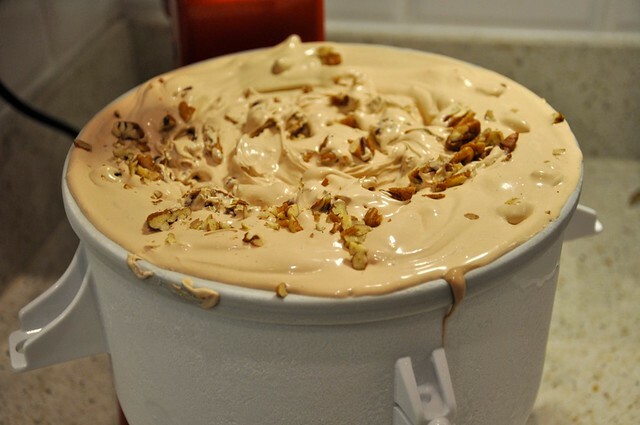 The nuts are added after its churned and then frozen.